Blakeman is pleased to provide you with our February newsletter to help keep you up to date on important changes and new regulations within HR, DOT, safety and more. If there is any topic you would like more information on, feel free to call us or simply respond to the e-mail. We are here as a resource -- to increase your compliance, productivity and efficiency. We have received a number of questions regarding the recent policy change regarding Texas Open Carry laws. Based on the interest expressed, we have provided the more commonly-asked questions and answers for your benefit. When Does Open Carry Go Into Effect? The Open Carry rule went into effect on January 1st, 2016. Where Can We Find Open Carry Signage? Blakeman & Associates does not currently offer Open Carry Signage but we do provide referrals. As a note, open carry signs should be available in both English and Spanish. What Wording Should I Include In A Gun Policy? A written policy should outline the mandatory restriction of employees from carrying or possessing firearms while on the job and state that policy violators will be dealt with immediately with appropriate penalties, including termination and possible criminal prosecution. Blakeman can provide assistance with developing a gun policy for your workplace. Can I Prohibit My Employees From Carrying Guns? Employees may be legally prohibited from possessing a firearm on company property except if the firearm is kept in the employee’s personal vehicle. Signage and policies should be clearly visible and understood to clarify the company’s stance on the open carry policy. Texas Election Code, Section 276.001. Retaliation Against Voter. Texas Election Code, Section 276.004. Unlawfully Prohibiting Employee From Voting. 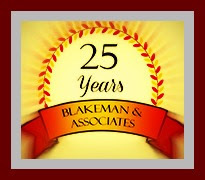 If you have any questions regarding voting time off or other employee management concerns, please contact Blakeman & Associates. It is important to note that estimated tax payments are due on Monday, April 18, 2016 – whether or not you’re a resident of Maine or Massachusetts.